E book reviews can be quite helpful, because you don't have to be able to hold a book in your hand for it to be helpful and of good quality. However, it is hard to find the really outstanding ones out there. So that is where this section of the site is designed to help. I have discovered some really great e books out there, which I have personally found very helpful, and want to share them with you. Some of these ebooks must be purchased, while others are free. All of them are good values, or provide lots of helpful information, or I wouldn't include them in this list of my e book reviews. First on the list is an ebook I've written myself, and it is FREE! All you have to do to download it is become a Facebook fan of Household Management 101. You can learn more about my house cleaning list and checklists for your home here. Basically, it is a free 40 page book with lots of checklists you can put in your household notebook for various rooms and different seasons in your home. Simplify E-book - This well written e-book provides great ideas and thoughts about how to declutter your home. In addition, the author, Joshua Becker, has some great and thought provoking ideas about decluttering our lives, and making our lives much simpler in the process. If you feel overwhelmed by all your stuff in your home, or all the activities in your life, or home life seems to be getting far to complicated I recommend this book for a great new perspective. Zen To Done E-book - This ebook, written by Leo Babauta, who writes for the awesome blog Zen Habits, is a must read for all household managers, in my opinion. This is because Zen To Done (known as ZTD by its followers) has a great discussion of how to build useful habits for life, including to plan, follow routines and create schedules. In addition, instead of trying to make all your habit changes at once it discusses focusing on one thing at a time -- an important point for making real and lasting changes in your life. I am by no means a photography expert, but I do like to take pictures of my friends, family and kids, like any parent does. But if you're like me I don't always get the result I'm looking for, and the pictures can be just average in quality. These ebooks, from a family photography expert, give great tips, even for beginners, to take better photos. The first of these books is called Oh Baby! Turning Memories Into Masterpieces, and you guessed it, it is about taking baby pictures. Babies, while cute in general, can be hard to capture on film. This book gives you great advice on how to make great baby pictures without having to pay a professional photographer. Next is the ebook entitled the No-Sweat Approach To Taking Great Group Photos. If you have a largish family, like I do, group photography is something you need to learn about. It never seems like they all look in the same direction at the same time, much less being able to capture them all smiling and not blinking. Get tips for dealing with these, and other common problems when taking group photos. In addition, several of my friends who also own their own websites have all created a Mega Ebook of free ebooks that you can download. You can find out more about the diverse range of topics available in this page I've written all about the Mega Ebook PDF Download here. In addition, you can click on the image on the right if you want to download it now, for free. 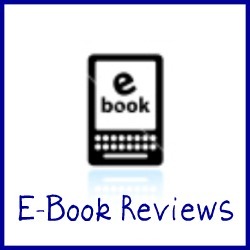 I know there are lots of other great e books out there, and I want to hear your e book reviews and recommendations too. So share them with me below. 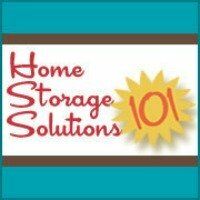 Have you read an e-book that you thought was really helpful or informative for you in your role as a home manager, and would recommend that others read it too?